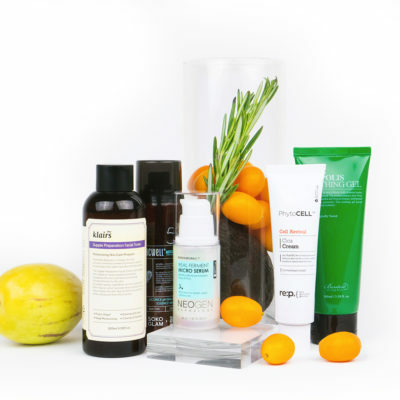 Here’s how to add acids to your skin care routine without causing irritation. Because if you have sensitive skin, the thought of strong acids comes with trepidation. 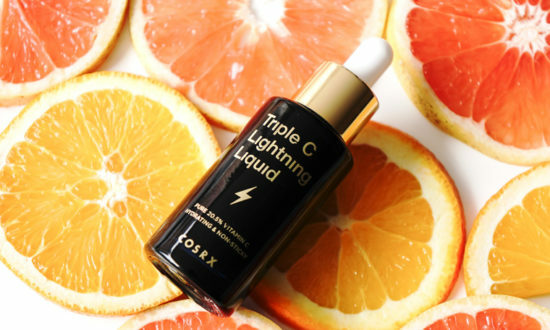 We’re so excited to introduce Soko Glam’s newest collaboration product: The COSRX Triple C Lightning Liquid! 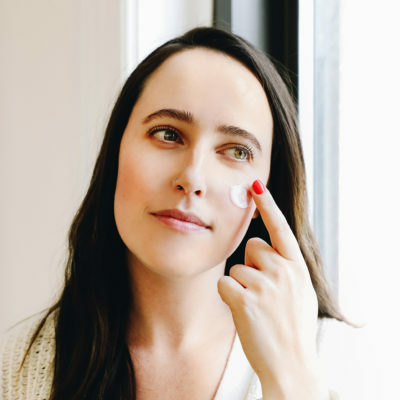 Charlotte worked long and hard with the founder of COSRX to bring Soko Glam customers a super potent vitamin C serum that helps eliminate pigmentation and acne scars. When I found out Charlotte was releasing this vitamin C serum, I was so excited! But I was also a little wary. I have extremely sensitive skin—like if I touch it too hard it will stay red for the entire day kind of sensitive skin—and the thought of applying an acid with 20.5 ascorbic acid (vitamin C) made me nervous. But knowing that the COSRX Triple C Lightning Liquid will help get rid of my persistent hyperpigmentation and the fine lines that are starting to creep up on my forehead, I just had to give it a try. So I followed the routine below that would let me incorporate acids into my skincare, without irritating my skin. Since I had a great experience, I thought I’d share some tips and things you should know about when you decide to incorporate acids into your sensitive skin care routine. Add one to two drops to your moisturizer at night and after mixing the two, gently spread the mixture on your skin. 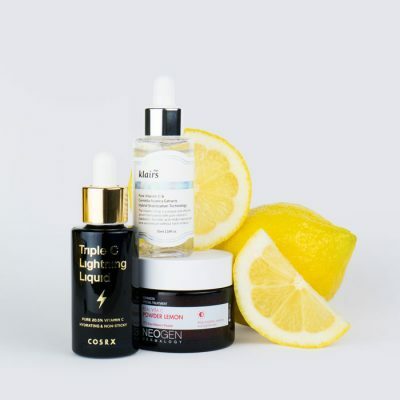 By gradually adding the acid to your moisturizer, you’re diluting the formula a bit which can help your skin get used to the pure vitamin C.
Tip: The key here is to make sure you’re adding the COSRX Triple C Lightning Liquid to a super hydrating and soothing moisturizer. 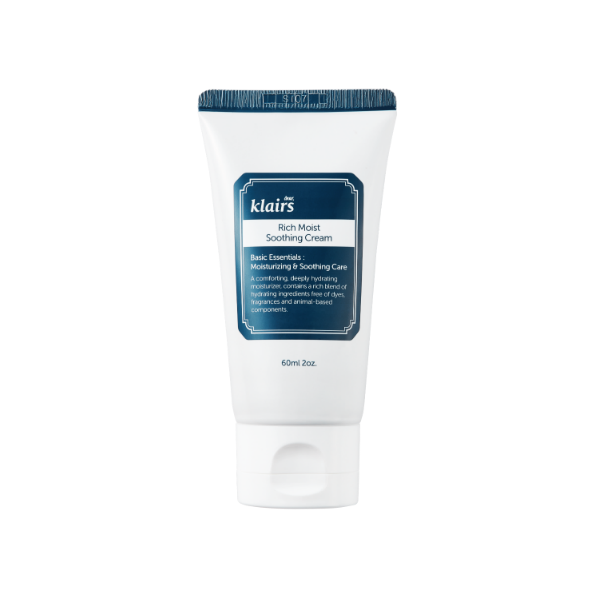 Look for a moisturizer with calming ingredients, like the Klairs Rich Moist Soothing Cream. This cream is perfect if you have dry skin (like me) and it’s fortified with ceramides to protect your skin’s barrier. If you have oilier skin, the Benton Aloe Propolis Soothing Gel is a great choice. 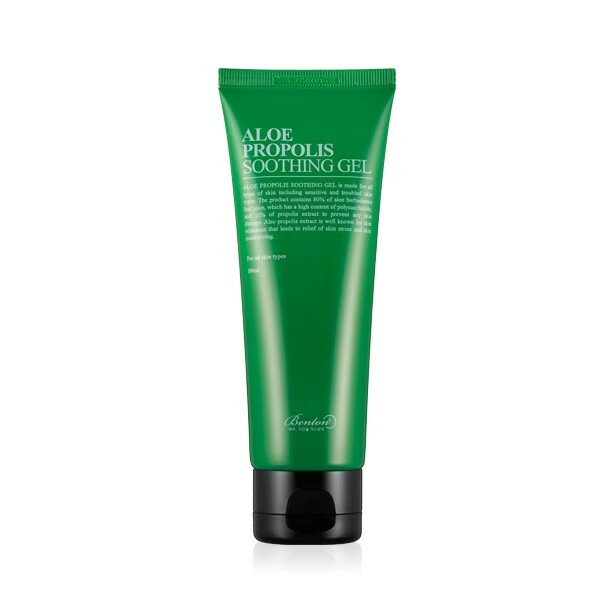 It’s lightweight and infused with 80 percent aloe to calm skin down. Don’t be alarmed if you start to immediately see changes on your face. A few nights after using the COSRX Triple C Lightning Liquid mixed with moisturizer, I woke up the next morning and my skin had a few little whiteheads. 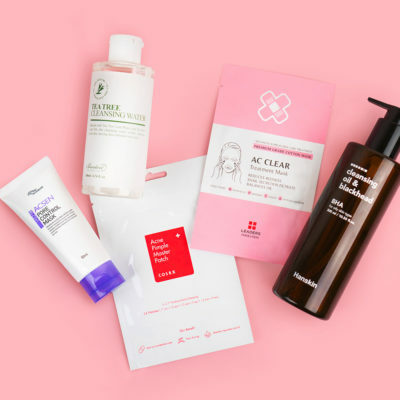 Because acids like pure vitamin C deep clean and exfoliate beneath the surface of your skin, you may experience some purging. Since the COSRX Triple C Lightning Liquid is a concentrated and strong exfoliator, it brought my dead skin cells and other gunk to the surface through the form of whiteheads. Just be aware of the kind of reactions you’re seeing. It’s normal to see small whiteheads and slight redness and even experience a tingling sensation. But if you start developing deep, angry cysts or breakouts and/or your redness starts getting worse day after day, take a break from using the acid. After two weeks, you can start applying the acid directly to your skin every other night. 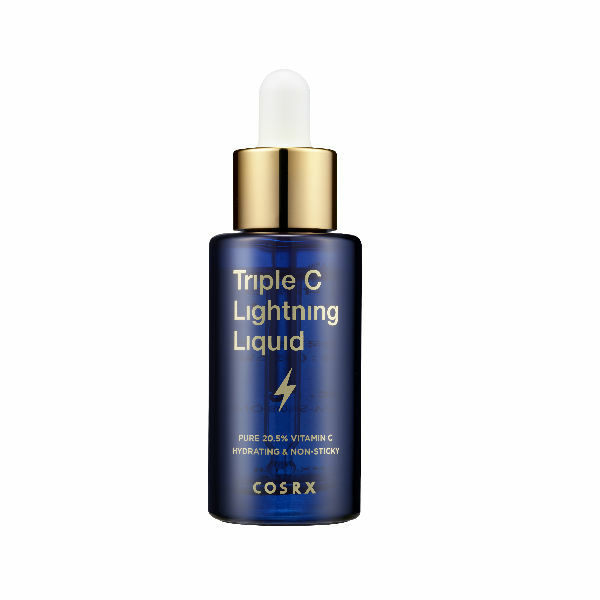 If everything is going great after two weeks of regularly applying moisturizer with a few drops of the COSRX Triple C Lightning Liquid, you might be interested in moving on to the next level of acid exfoliation to get the full effect. If you’re ready, it’s time to let go of the whole moisturizer mixture game. So here’s what I recommend: Every other night, directly apply one to three drops of the serum onto your face, gently smooth it in, and immediately top it off with a layer of the moisturizers mentioned above (or another extra soothing and hydrating moisturizer you love). You may feel some slight tingling the first few times after you put the acid directly on your skin but as long as it’s mild, that is normal. Tip: If you have extra sensitive skin, start by dropping one to two drops directly onto your skin and lightly blending it in. Let it sink in for five minutes and then rinse it off with lukewarm water. Follow with a moisturizer. This will allow the acid to penetrate into the skin but reduces the amount of time it is in contact with your skin. Apply the COSRX Triple C Lightning Liquid immediately after you pat in your toner (or essence). When you’re doing your 10 step skin care routine and your skin is still damp from toner or essence, pat in two to three drops of the acid into your skin, then follow with the rest of your routine. If you want to incorporate other products with high concentrations of AHAs or BHAs in them, don’t mix but alternate usage with the vitamin C on separate days so you don’t over exfoliate. Add a hydrating moisturizer on top! If your fingers are in direct contact with pure vitamin C on a daily basis, your fingers could actually exfoliate so much it can flake! A cotton pad will fix this issue. 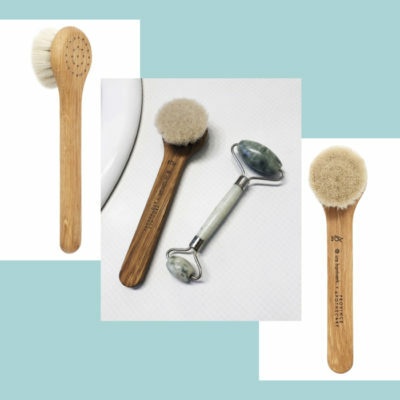 Take the dropper and drop the acid directly onto your face and pat it in with a cotton pad (this will ensure more product gets absorbed by your skin). Just a reminder that this is recommended as a night treatment because sun exposure can sensitize and pigment your skin, but if you want to use it during the day, don’t forget to add SPF 50+ on top to protect your skin from UV rays! Just because you have sensitive skin or are new to acids doesn’t mean you have to be afraid of acids. 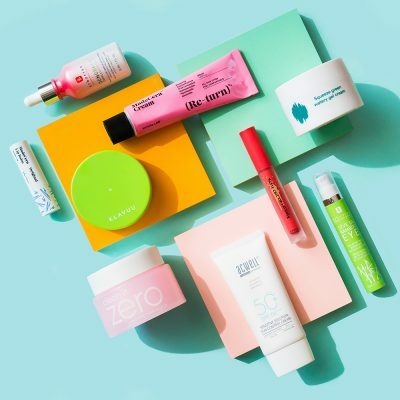 Acids—especially the COSRX Triple C Lightning Liquid—are some of the most effective skin care ingredients when it comes to minimizing fine lines and promoting a healthy and even skin tone. You just need to be gradual and have patience when it comes to incorporating acids into your skin care routine, and you don’t have to always aim for every day application, since it really depends on person to person how much exfoliating and acids your skin can handle! Use the above as a guide and with the knowledge of your skin and what it needs (and doesn’t need) try incorporating a vitamin C into your routine the way your skin needs it! Stay tuned for how to store vitamin C serum on The Klog. + What are your best tips for how to add acids to your skin care routine? Let us know below!